Today a running rest day after Janathon. 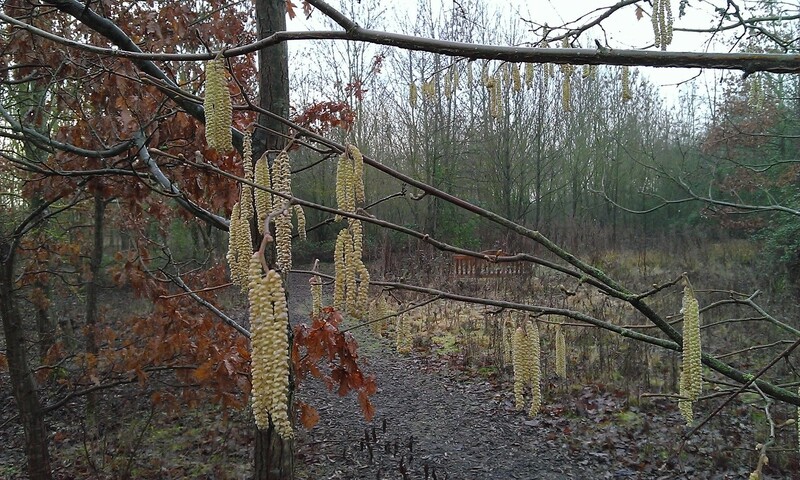 After walking Rupert and snapping these catkins in Bourne Wood, we went into Cambridge city centre. Roaming around Cambridge is always a treat and we don’t get tired of the beautiful buildings. This is Jerwood Library, Trinity Hall which is is the fifth oldest college in Cambridge, founded in 1350. 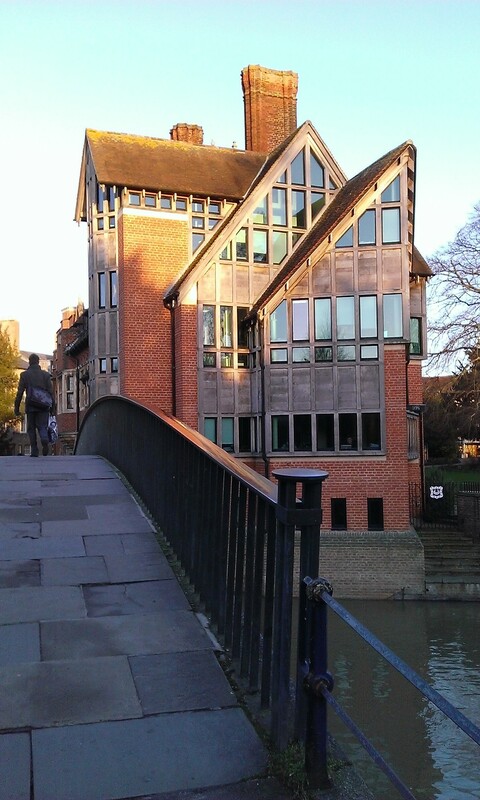 Jerwood Library was built on the banks of the Cam in 1998, a few years on. Cambridge parkrun was a very muddy affair yesterday and I did a very slow time. With my excellent trail shoes, however, I didn’t feel I was continually at risk of falling or slipping. Instead I convinced myself that I was flying and that the people passing me were just a trick of the low winter sunshine. The reality was different. My arch rivals, Mike and Kerry, were so far ahead of me that by the time I passed the line, they had showered and dressed in formal evening attire before returning to the finish funnel to clap politely as I came in. Three of my children, Shanti, Isobelle and Dan did Valentine’s parkrun and ran very well. They are doing a 10K in Greenwich next Sunday along with a boyfriend Joe and another daughter, Sophie who is coming up from Brighton. I’ve just signed up for it. In the afternoon, I went for a 10.1 mile run along the Cam river bank. I did have the option of a similar distance run with a very friendly group, Fen Edge Runners but on this occasion I decided to run alone. I was One Man Against The Elements, a heroic figure struggling to survive whatever a mild winter might throw at me. I was a force of nature that no-one could catch and contain. I saw a few other runners, two of whom stared straight ahead and didn’t return my acknowledgement. Perhaps I was running so fast they didn’t see me. The run itself went well. That’s my half marathon training done, then. I didn’t push myself very hard and felt OK afterwards. No aches or pains today. I’m fit enough to run 13 miles now at a leisurely pace but if I want to run faster I’ll need to do the training, of course. This entry was posted in parkrun, Running, Uncategorized and tagged exercise, parkrun, running. Bookmark the permalink. Spring? Bring it on! Quickly. Now. Please. And no more rain.